I need to watch more Bob’s Burgers. 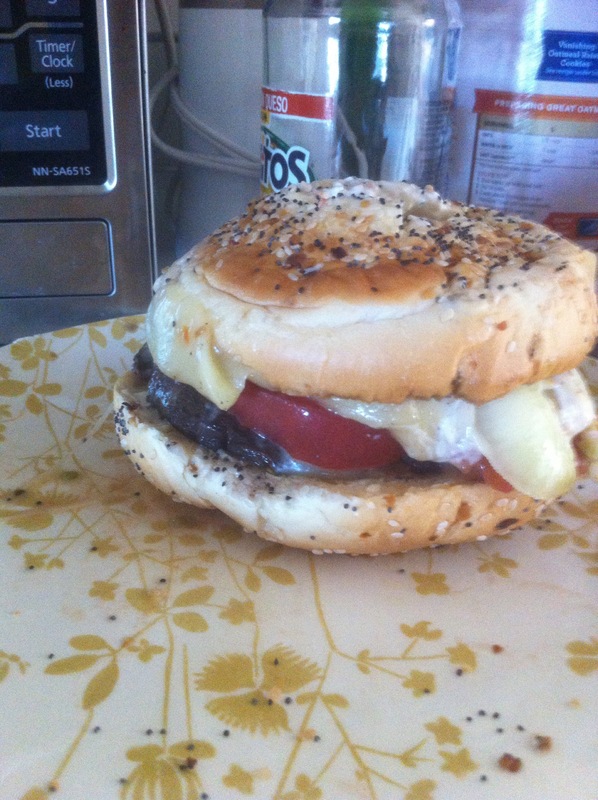 Sauteed portabello cap, onion, pepperjack cheese, cream cheese, and sliced black Russian heirloom tomatoes on everything bagel. (The bottom bagel got soggy, so I flipped them around, it’s why it looks like a soggy volcano.) Can anyone think of a good Bob’s Burgers style name for it?